Web of Science Core Collection is a painstakingly selected, actively curated database of the journals that researchers themselves have judged to be the most important and useful in their fields. Why do a Cited Reference Search? Cited Reference searching should be a part of any complete literature search. A cited reference search can give you details on how a known idea has been evolving in the literature of one or more fields. It results from an item of a work’s bibliography or list of references. Published authors may want to understand the impact their research is having on other related and pertinent researchers and various fields of study in the world. 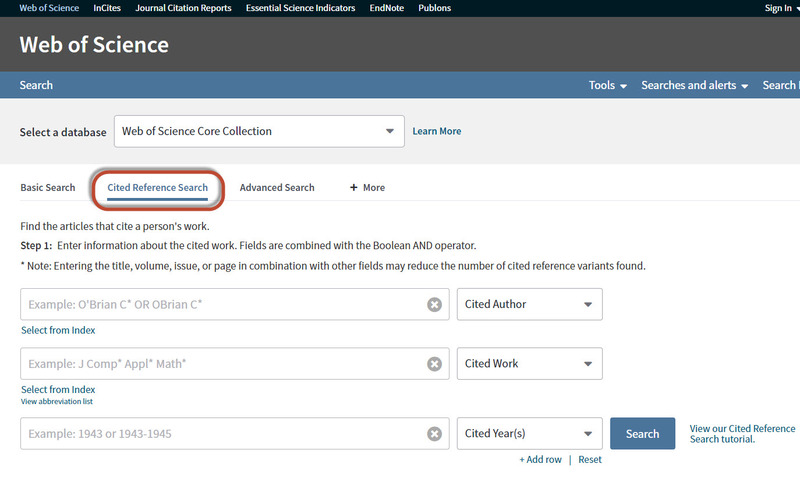 You can search for citations to anything that's been cited in a Web of Science record - journal articles, books, theses, dissertations, works of art, musical scores and more. Where do I find 'Cited Reference Search'? You can find articles that have cited a particular publication/work right from the landing page by selecting "Cited Reference Search"
How to do a Cited Reference Search? Enter the first author’s name in the Cited Author field with appropriate truncation. Enter multiple names of authors linked by the Boolean OR if a work has multiple authors. This will enable to retrieve a publication even if it was indexed with only part of the authors. Enter a journal or book title in the Cited Work field. It is advised to abbreviate the titles and combine them from their indexed version found in the abbreviation list. If a work has been published in languages other than English, enter an abbreviated form of the original or know languages it was published in. It is advised to omit the Cited Year(s) field initially, in order to retrieve a maximum amount of variations or different editions of a same work. If you get too many results, enter the year(s) that may refine relevant records. Clicking Search will return entries from the Cited Reference Index that include the cited author/work combination entered. Select the references and variations that are relevant to your search. Click Finish Search to go to the Results page. Boltanski, Luc, & Thévenot, Laurent (1991). De la justification: les économies de la grandeur. Paris: Les Editions Gallimard. Boltanski, L., & Thévenot, L. (2006). On Justification: Economies of Worth. Princeton, NJ: Princeton University Press. Note that the number of results returned may vary from the number of citing articles listed on the full record since it will reflect on your institutional subscription. 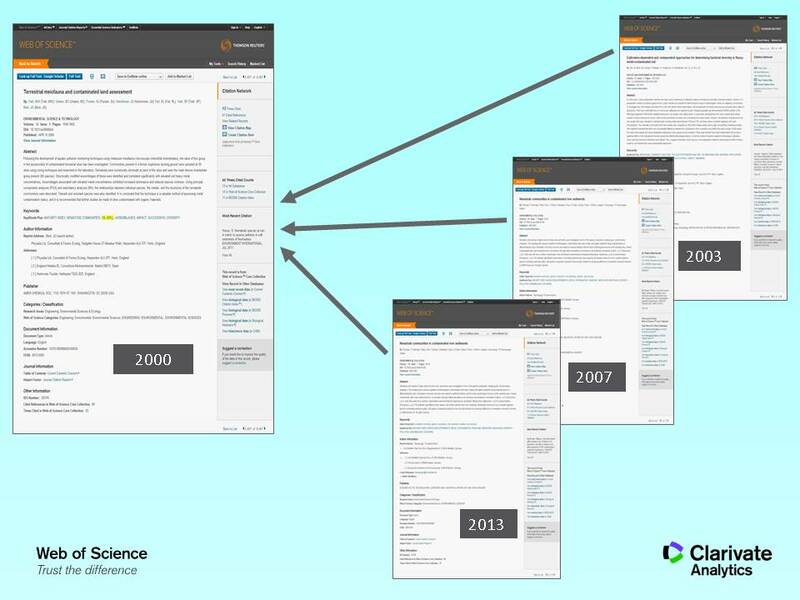 Results that are published in journals indexed in Web of Science will have a View Record link. What is a Cited Reference Search? Why you should include cited references as part of your literature search.